If your site isn’t on the first two pages of Google search results it’s basically not on Google at all. We can help! Driving traffic to your website via search engines such as Google, Bing, etc., is all strategy-based. We are committed to moving your website up in search engine rankings, and to do this we will run various reports to discover keywords that are of the utmost importance to include when designing and writing copy for your site. Search engines grab hold of websites that are rich in certain keywords, thus pulling your site up the latter. 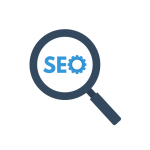 We guarantee that our SEO professionals will have your website climbing in the ranks on Google, Bing, and other popular search engines. If you’re anything like us here at Bahamas Web Solutions, you start and end your day by checking your email. It’s an essential part of life these days and if your company isn’t creating it’s own list and sending consistent marketing emails, then you’re simply missing out on an opportunity to increase your revenue. We’ve teamed up with and worked with all sorts of 3rd Party Email Marketing Clients, including MailChimp, Constant Contact, iContact, and several others. 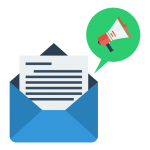 If you’re already utilizing one of the top email clients and simply need help developing content and scheduling your email automation, we would love to help. If you’re new to email marketing, we can walk you through it’s importance step-by-step and help you create your very own following. 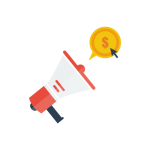 Our PPC (Pay-Per-Click) Marketing campaigns extend across multiple platforms including Google AdWords, Facebook Ads, Bing Ads, as well as several others. Our team can work within your budget to display your company ads to your exact target demographic. The beauty of PPC vs CPM (Cost-Per-Impression) is that you only pay when someone actually clicks on your ad. You ad(s) can be displayed to thousands of people, but you won’t spend a dime until you get a click, which is when we can direct that potential prospect to a custom Landing Page and start bringing them through the sales funnel. No matter who your target demographic is, there’s a reason to be on social media. Every social media platform is treated differently and has a different way on engagement on it. Whether you’re trying to reach a specific audience or not, social media is important for spreading brand awareness and improving your credibility. There’s nothing worse than looking at a company’s social media and seeing that their last post was from over a year ago. 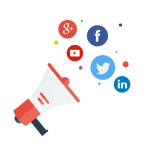 Our Social Media Marketing services include full-time management and strategic content creation. We will notify you of any new engagement and provide monthly reports showing the progress and growth of your audience. It’s important to manage your reputation on social media, which we do for numerous clients that don’t have the time and/or resources.